Board Certification denotes that a surgeon has excelled beyond what was required to complete extra education and has passed the comprehensive and arduous tests to prove it. According to the American College of Surgeons, there are currently 24 specialty boards recognized by the American Board of Medical Specialties (ABMS) and the American Medical Association (AMA). You may be wondering why it’s important for your physician or surgeon to have passed said tests; for one – the testing puts all physicians on an even playing field, setting the bar for nationally accepted standards of practice. With a level playing field, it’s easy to tell who has excelled. Some of these students will go on to participate in rigorous fellowships that test their character and moral fiber. In essence, those physicians who carry the letters (F.A.C.S.) have been dubbed upstanding citizens, and thus a Fellow of the American College of Surgeons. These surgeons have placed the welfare of their patients above the “bottom line” so to speak, and have vowed to abstain from performing undue operations. The American College of Surgeons takes this designation very seriously, as should you! The world of medicine is an ever-changing landscape with a consistent influx of new advancements – Orthopaedic surgery being no exception; so, it’s important that physicians in this field stay abreast of what’s on the cutting-edge. One of the most reassuring aspects of Board Certification is that physicians who carry this title are required to participate in continuing education – what is known as certified medical education, or CME. This coursework is vital for professional development and improving a doctor’s clinical performance which will ensure you receive the best, most current treatment available. Selecting a physician who is Board Certified and Fellowship Trained will provide peace of mind that you are receiving the highest quality, comprehensive care available. Furthermore, you can confirm that your physician has taken the time to become certified in the exact specialty for which you are seeking treatment – whether it be a minimally invasive hip replacement or a state-of-the-art MAKOplasty robotic-assisted joint replacement. 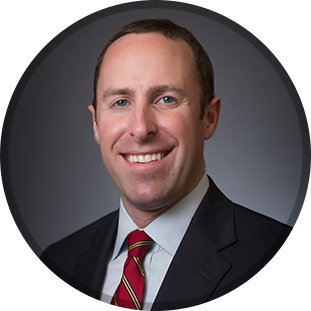 Dr. Brett Gilbert is a highly respected board-certified orthopedic surgeon who has continued his training with an advanced fellowship with a focus on knee and hip replacement surgeries. His impressive credentials include a lengthy list of memberships (the American Academy of Orthopaedic Surgeons, the American Association of Hip and Knee Surgeons, and the North Carolina Orthopaedic Association), and he enjoys the respect of peers and patients alike. If a hip or knee injury is keeping you from getting back out there, it’s time to kick pain to the curb; Dr. Brett Gilbert can help. Call 919-788-8797 for more information or to schedule your consultation.